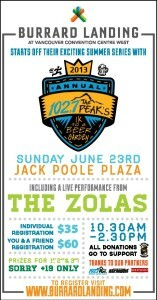 Burrard Landing is proud to host the first event of its summer event series — 102.7 The PEAK’s 1K To A Beer Garden in support of A Better Life Foundation. 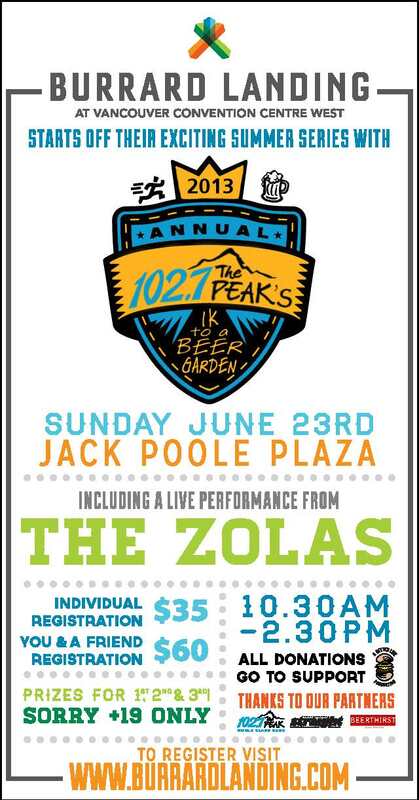 You can help feed Vancouver’s most in need by running one grueling kilometer to a much deserved Beerthirst Beer Garden at Jack Poole Plaza where we’ll soak in the sights from Burrard Landing and take in the sounds of The Zolas! 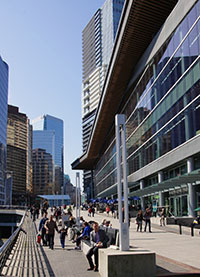 The $35 registration fee will help A Better Life Foundation in providing Vancouver’s hungry with meals, job training and employment opportunities. 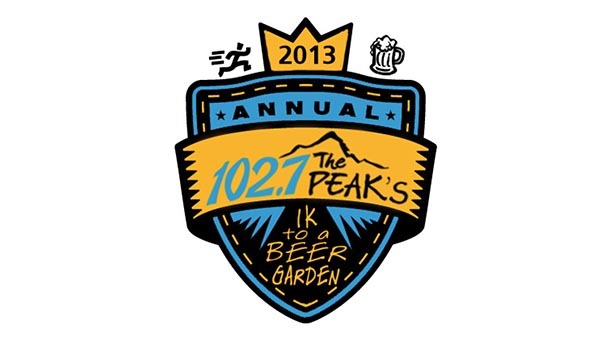 Plus every participant will receive a 102.7 The PEAK sweat band (totally necessary), a free beer and the mug it came in. Round up some friends, dress up in your most extreme athletic gear and we’ll see you there! If you and a friend register at the same time – it’s only $60! Keep up with our website to find out about the next events! – Beerthirst Beer Garden will be cash only – so load up your pockets with dollar bills y’all!